As if the bourbon samples weren’t enough, the Seven Grand crew will be serving up bourbon cocktails, while Cole’s will help you soak up the brown stuff with French Dip sandwiches and bourbon pecan pie. Part of the proceeds from this event will support the Los Angeles Conservancy and its efforts to preserve and maintain the city’s architectural heritage. The Bourbon Grand Tasting is only the beginning. 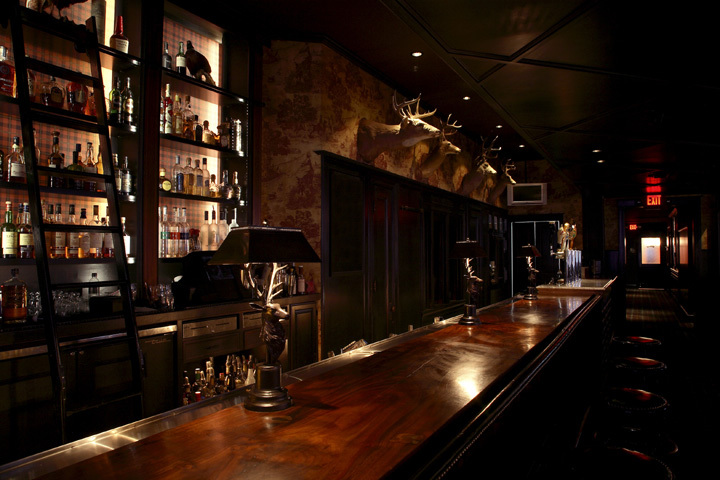 Over the next 12 months, Liquor.com will be hosting premium spirits tastings at top Los Angeles venues. Each event will be a uniquely spirited experience, so stay tuned for details. 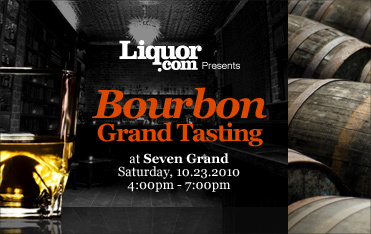 For more information about the Grand Tasting Series, visit the Liquor.com Event FAQ page. Online tickets to the Bourbon Grand Tasting are available now for $55, but Liquor.com is graciously offering a limited number of discounted tickets for Thirsty in LA readers! When you buy your ticket, enter the Promo Code THINLABB for a $20 discount off the ticket price. NOTE: the Promo Code can be used multiple times, but only once per purchase. In other words, if you’re buying two or more tickets, you’ll get a $20 discount off the entire purchase.